Do you have the time to change into something ‘more fetching’ to wear in summer when the sun’s dashing rays dawn upon you? Since hoodies are the mainstay of out winter attire, t-shirts are equally the mainstay of summer’s! Troubled which t-shirt to choose from a whole lot of expensive ones at your favourite branded store? Are you complaining of your t-shirt’s faded colour from last year? Are you complaining of not too many apt customized styles for your liking? Well, shall we introduce you to Oshi.pk again or did you finally have the hang of it? Of course, Batman has been the rage ever since the comics came out. This is one super hero who flaunts in a bat-mobile and still gets to garner a cool costume – cape and all. Oshi.pk allows you to have a first-hand look at the latest designs of t-shirts through its online shopping website. 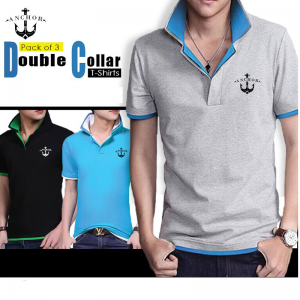 Oshi being the hub of the largest variety of T-shirts for men, Round Neck Half Sleeves T shirts for women, bring a huge variety of styles, necklines, and designs to cater your super casual needs. You can get half-sleeves to full-sleeves, V-necklines, high-crew necks and a lot more. Confused which t-shirt to buy from or do you wish to get a couple more for your best friends via Oshi online shopping website? We present you fantastic combo and jackpot deals with t-shirts for men and women of all ages. Cater to a fresh range of t-shirts of your favourite super-heroes or purchase the ones with clichéd one-liners – Oshi.pk has gotten you covered. Choose from the most colourful prints or our monochrome and checkered bestsellers –shop till you drop; and that too, for remarkable prices. 2016 was a superb year for Batman and Superman T-Shirts, and 2017 will be far better with the return of Wolverine in a brand new action flick, don’t you think? Well, support your favourite super-heroes by wearing our t-shirts to the cinemas or zoom past the grocery aisles the next time to head out for your day to day chores. Oshi has returned with its best-seller once again! Support your city today by buying our t-shirts via online shopping that are monogramed and printed with colours and flaunt the logo of PSL! Go white with a Karachi Kings t-shirt or red with Lahore Qalandars t-shirts – get yours in the mail today! Choose yours from our limited ‘BakraEid’, ‘Jugadu’ and ‘The Bhai’ latest Disney Toons Kids Combo t-shirts, and go desi with C-Tees. Cater to our online shopping website today before you miss these deals and forget to add these wacky t-shirts to your collection. For complaints and queries, email us or contact us at the information mentioned here. We ensure you that we are very responsive, and deal with our clients’ needs without obscure delays. Write to us today, and tell us how you feel about Oshi.pk.